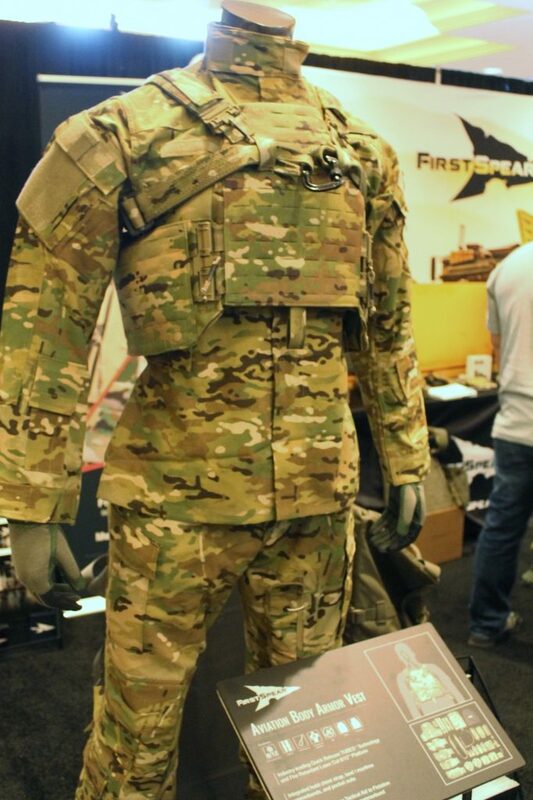 FirstSpear really aren’t ones for holding product releases back to announce at the show, they just keep on rolling with their myriad of high profile military contracts making gear for many of the most highly skilled people in the US military (amongst others). 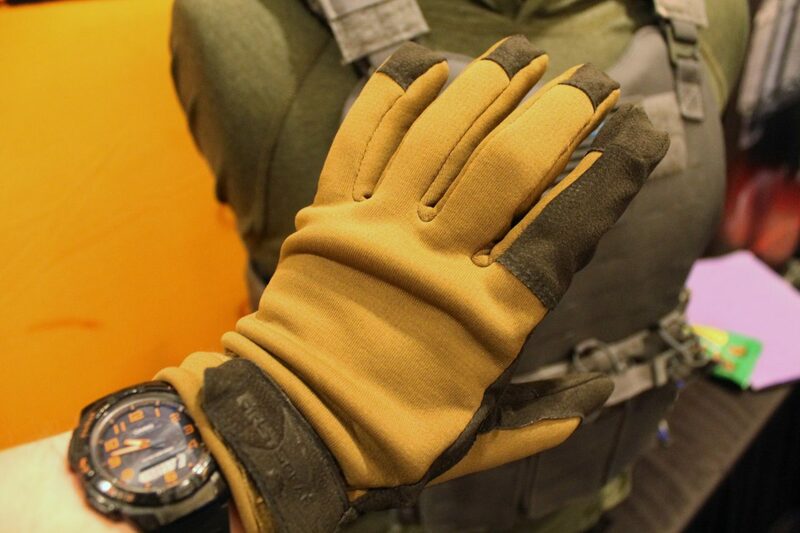 The Multi-Climate Glove (MCG) is one of the first glove releases suited to all types of weather that I’ve been genuinely interested by in a long time. A lot of the FS gloves have features similar to my favourite PIG Deltas, which is absolutely what I’d want to see, but they don’t just ape other designs. 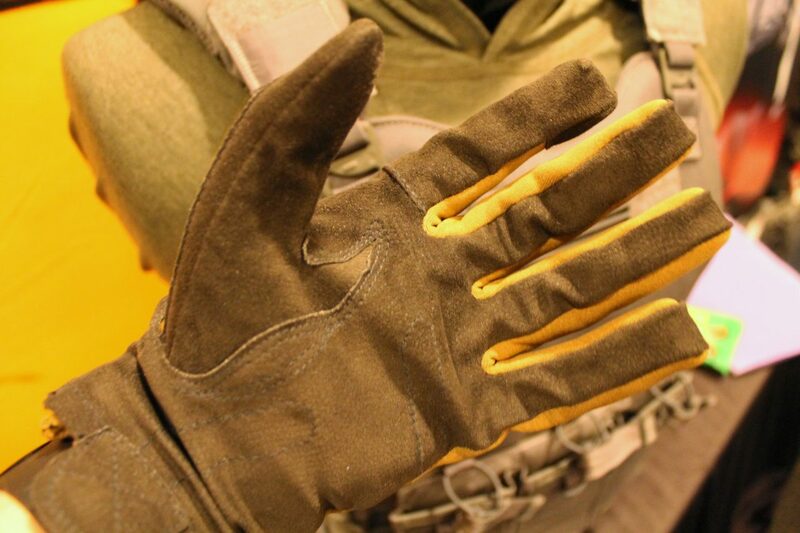 The MCG is a suede palm much like the PIG line which is a great way to go in terms of dexterity and they’ve done the stitching around the fingers in the proper directions to actually allow the wearer to pick up and manipulate small object (you listening Mechanix?). The backs of the gloves however are a polyester softshell for fast drying in a variety of climates; not quite as gucci as nylon softshell like tweave admittedly, but these are $35 gloves and that’s brilliant news in terms of not having to worry much if you lose them or tear them up doing whatever it is you need to do with your hands. 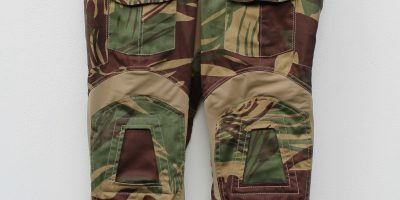 They’ve also eliminated one of the stitch lines on the trigger finger which is not something I’ve seen elsewhere and should provide the absolute best possible dexterity in that tip of the trigger finger where it most definitely counts the most. 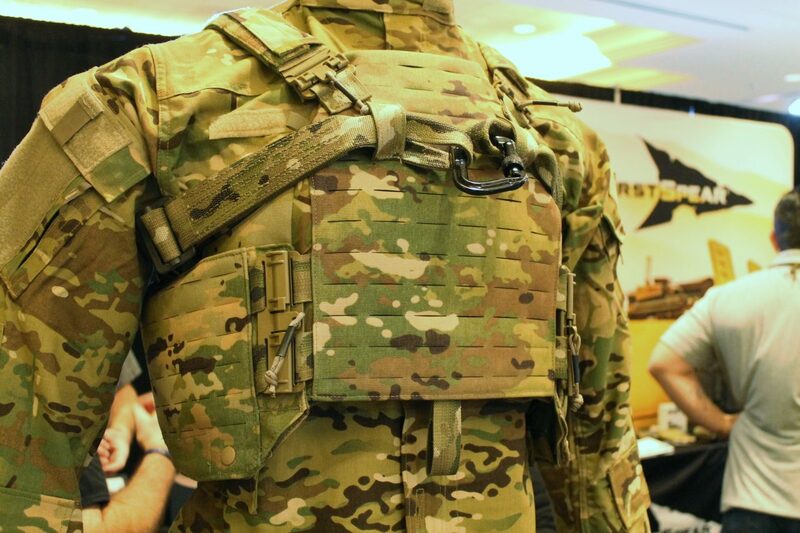 Also on display was the new Aviation Body Armour Vest in Scorpion/OCP, which FS has licensed now to produce gear for the US Army outside of just SF and the like that wear Multicam. The ABAV has a lot of the great features carried over from flagship PCs like the AAC and Strandhogg of course, but to facilitate emergency extractions and lifting by cable/winch there’s an integrated harness system. 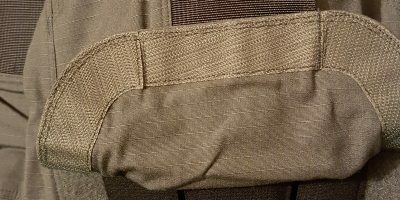 As you’ll note by the webbing and extensive stitching there’s an extremely rugged belt that runs around the chest and is held in place by some simple keepers routed through the 6/12 when the belt is not being used for lifting. 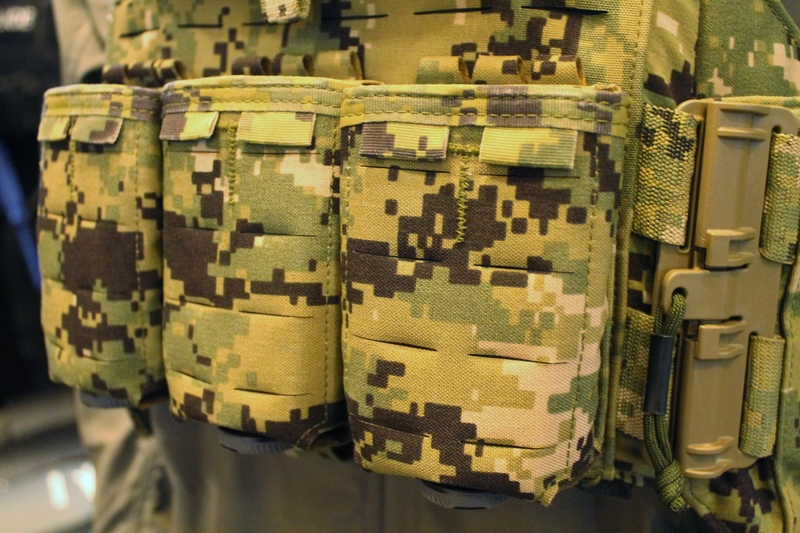 However when used for evacuation the 1″ keepers pull free from the vest and the personnel are lifted physically up under their arms – unequivocally a more reliable lifting point for a human than any piece of nylon on their body. 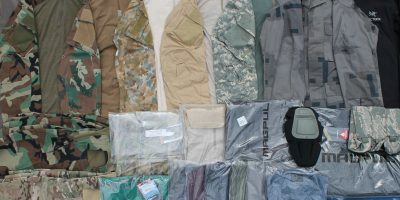 Various other military emergency winching harnesses have worked in the same sort of fashion for decades and now the facility can be worn on the body, available to clip in at any time. 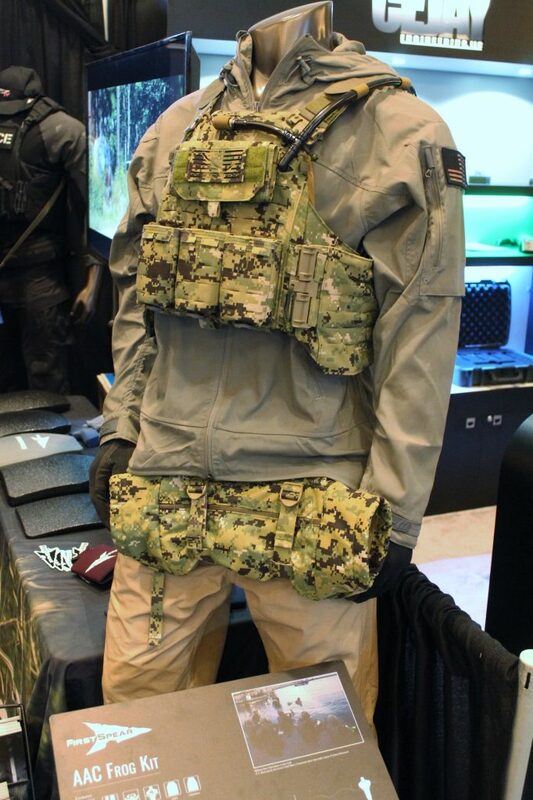 While at the booth I obviously had to check out the AAC in AOR2 along with the Multi-mags in the same pattern. A man can but dream.